If you are looking for some all-American, red, white and blue food ideas, you’ve come to the right place! 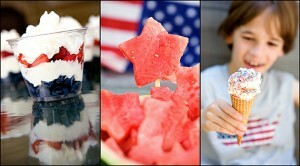 With Memorial Day here, and the 4th of July not too far away either, I thought I would share 3 very easy red, white & blue treats, that are perfect ideas for your all-American weekend celebrations and gatherings. This is more than an easy, refreshing, cool treat. 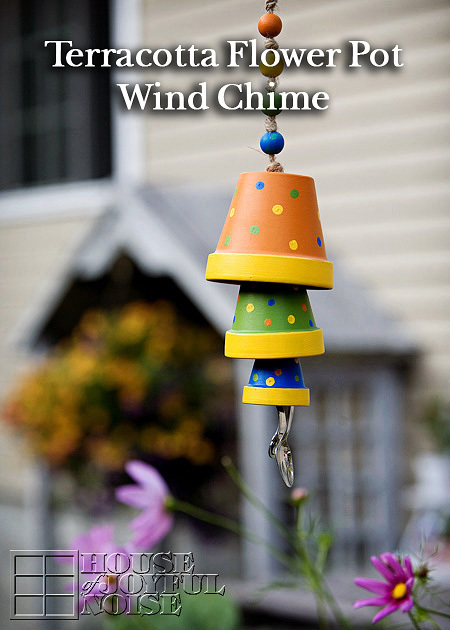 It’s a decoration, and a festive item on the menu your family and/or guests will be impressed with! 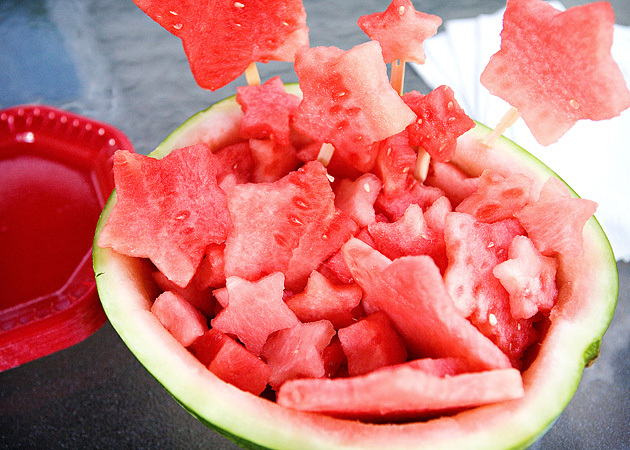 All you do is cut the watermelon in 1/2 the long way, completely cut up one half into thin (about 3/8″) slices, and cut out stars with any star shaped cookie cutters! I had stars in 3 sizes. With the other 1/2 of the watermelon, scoop it out as much as a whole piece as you can. You should then be able to cut that into a few more slices too, and get more stars out of it. When the 2nd half is all scooped out, you use it as your bowl for all of the stars! I put a few stars on bamboo forks, to stand up. You can also use skewers, if you lop off the very sharp end, and cut them to a good size. 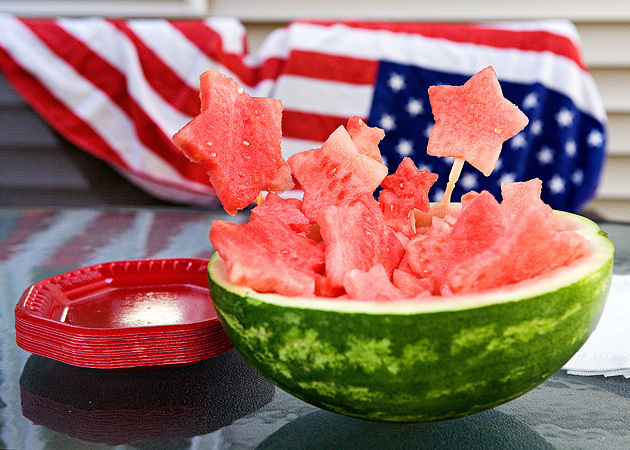 I stuck some stars on sticks, into the bowl edge/rind, and even stuck in other pieces in the bowl. Kids love them on a stick! I had some on a stick too. 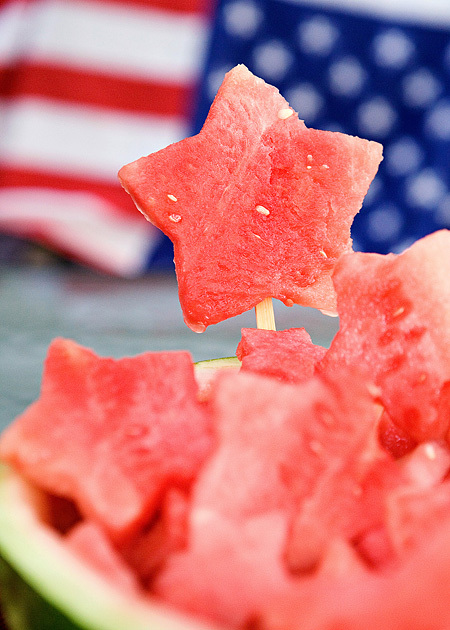 So put some star-spangle in your summer! 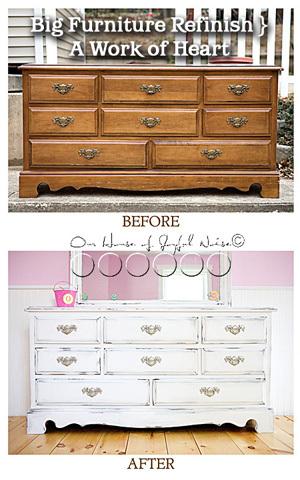 Here’s another fresh idea, I pulled from our archives. 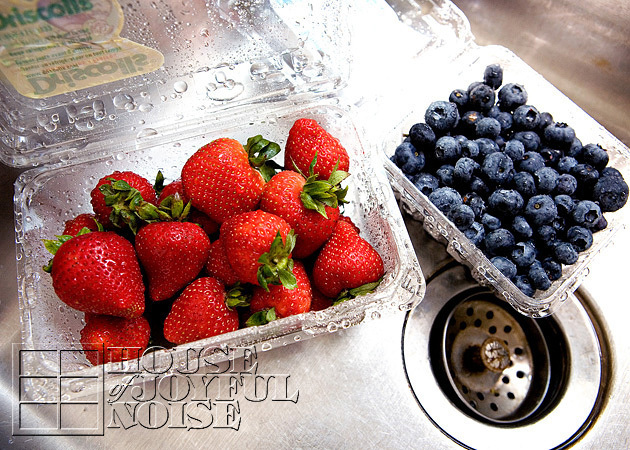 1) Rinse some strawberries and blueberries in the sink. 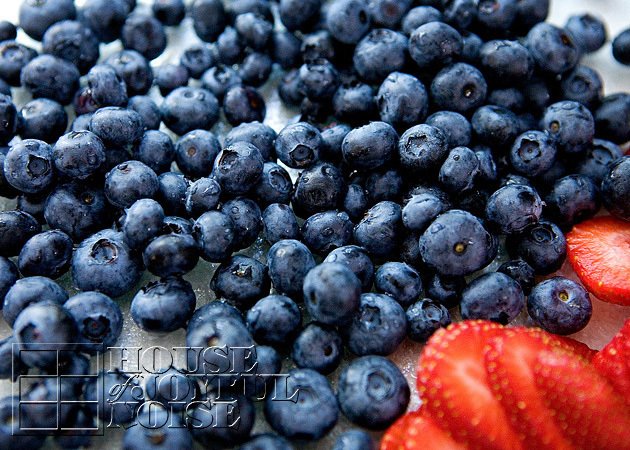 Last year, since our strawberry bed was new, we had to use store bought berries. 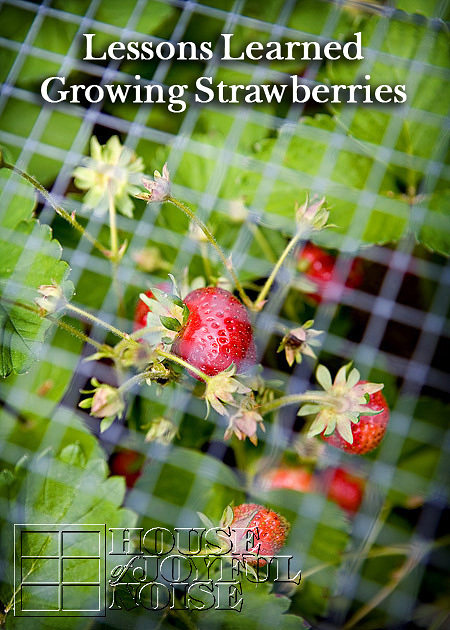 But this year, with our strawberries established, we’ll be getting them from our garden! 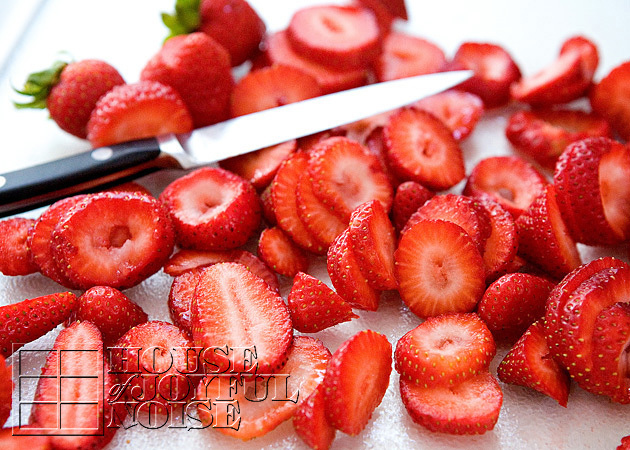 2) De-stem and slice the strawberries. 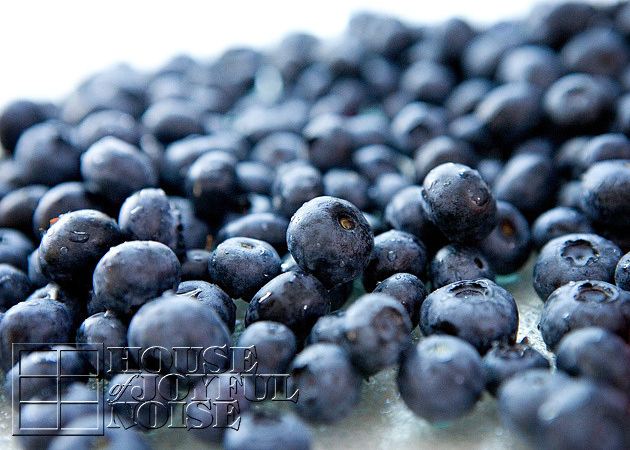 3) Go through the blueberries real quick , just to make sure there are no smooshy ones, : ) , and also take off any tiny stems still on. 4) Get out your can of Redi-Whip. 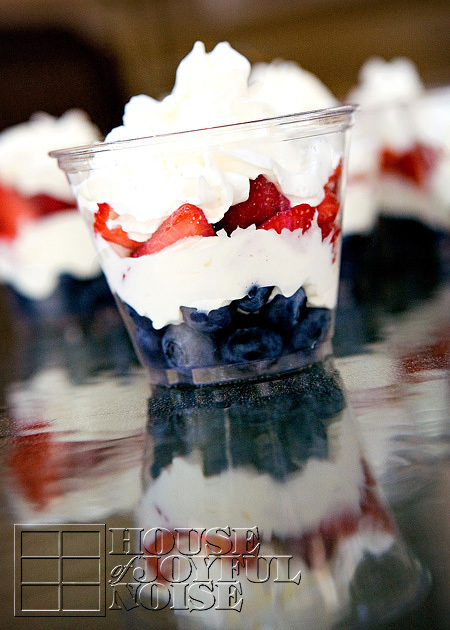 5) In clear cups, layer strawberries, whip cream, blueberries, and more whip cream on the top. It’s perfect ‘light-little-something’ to hold every one over until dinner. Or have it breakfast! Or dessert! Sprinkle some Grape-Nuts cereal, or granola, on the top, for some crunch! This one is an ordinary treat, with a couple special twists. 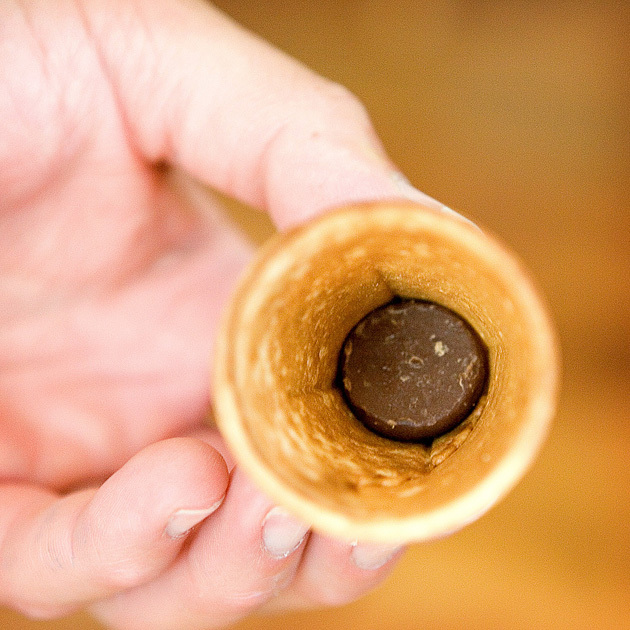 Scoop some vanilla or chocolate chip ice cream, onto a sugar cone. Sprinkle on some red and blue sugar crystals. 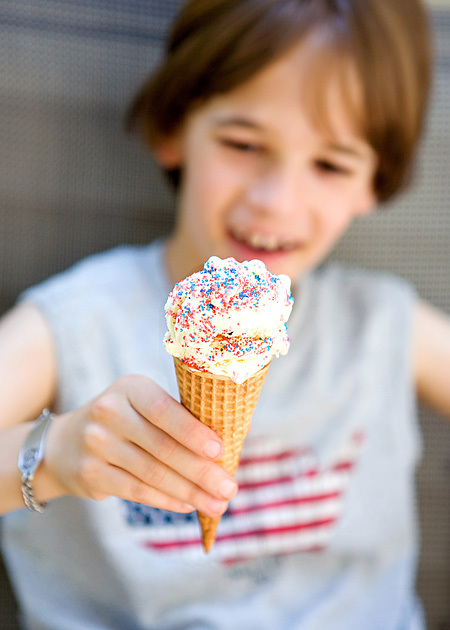 What kid…..errrr, ….person….doesn’t love ice cream? 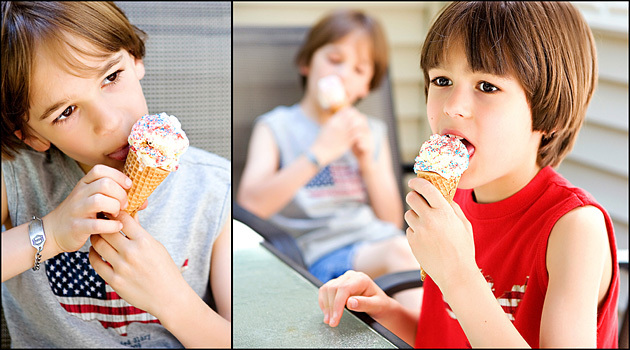 Nothing creates quiet, like ice cream cones,….on a warm day. Know what I’m saying? Silence I tell you. ; ) Just a whole lot of rapid licking going on! I’m full of tricks. And I’m not afraid to use them! Here was a surprise, no one was expecting…. Sure enough, the whole dang neighborhood heard their cheers! I hope these ideas add a little eatin’ fun to your weekend! I know when I think of long summer-like weekends, I think of FOOD. 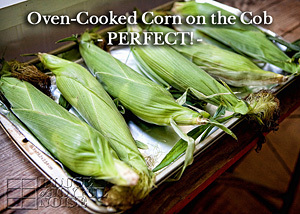 Ohhh….just add some protein and veggies here and there, and you’ll be all set too! Have a safe, fun, relaxing, TASTY All-American long weekend, Everyone!